International travel sometimes requires more “stuff” than traveling domestically. It is expensive and you need more storage, documents, and sometimes different plugs for your electronic equipment. Instead of purchasing these things, save money and borrow our kit! Just return it when you get home! 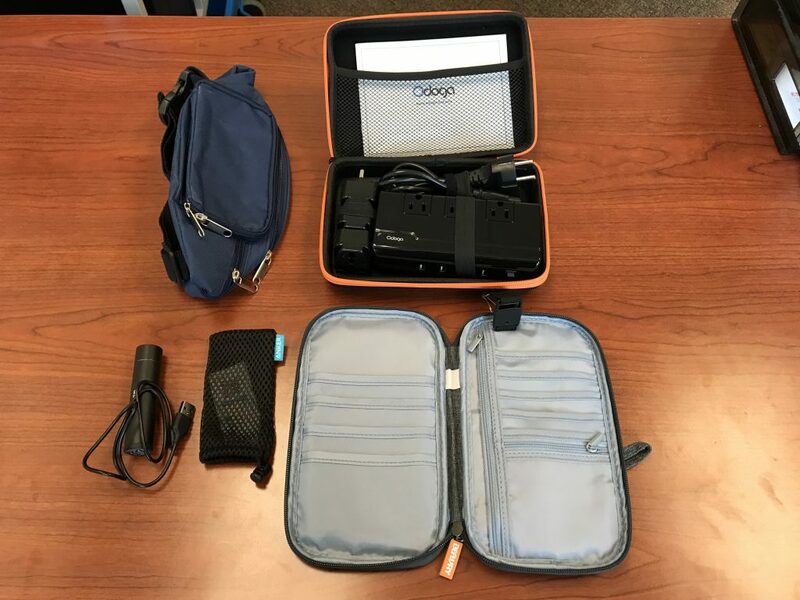 Includes 1 voltage converter in case (with manual), 1 USB battery charger in a bag (with manual), 1 travel/documents wallet, and 1 belt pack. Want to make a fun cake for the ballet dancers in your life? Borrow our pan and do it yourself! 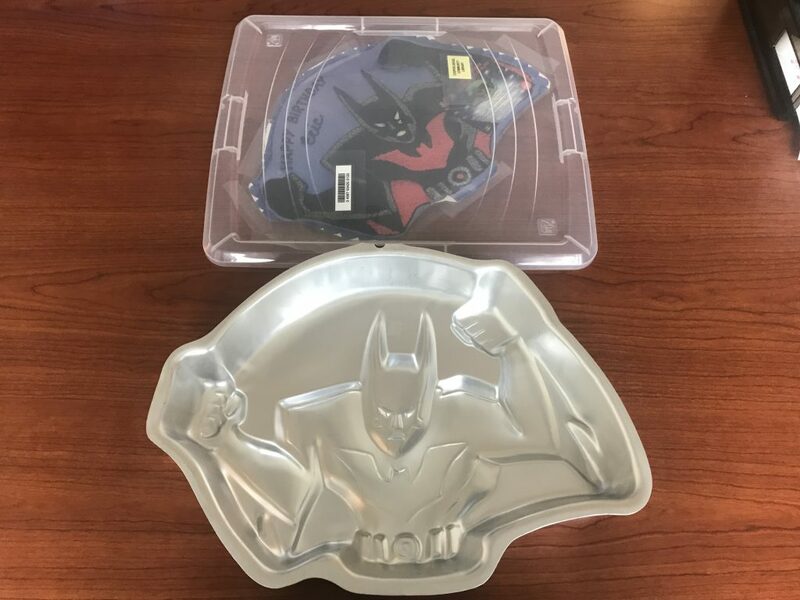 Want a tasty Batman cake for your favorite DC comics fan? Borrow our pan and do it yourself! 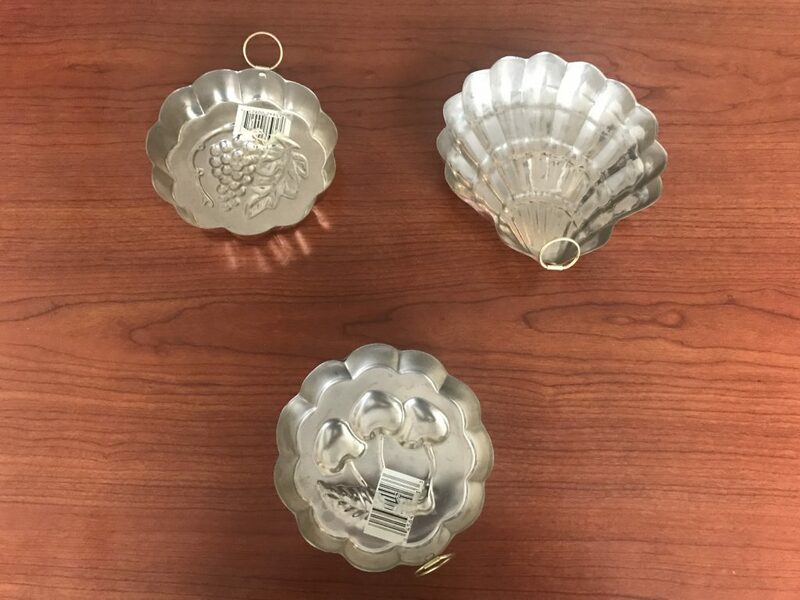 Make your next themed party more festive with these copper jello molds! Create them yourself and return them to us when you’re done! Includes 3 copper jello molds. Take this home and make many cakes with one pan. Includes instructions and inserts to create whatever you can dream up! 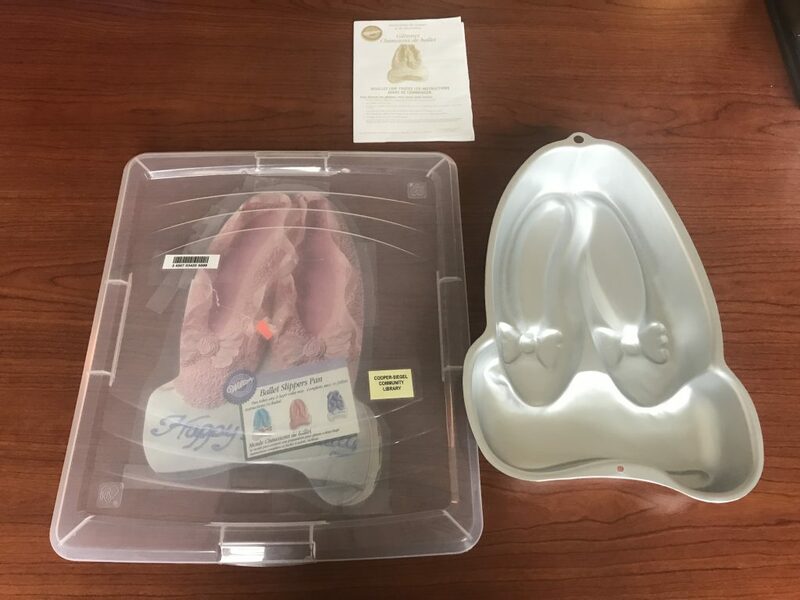 Includes 1 cake pan, 8 pan inserts, 1 angled cutter, and instruction booklet. 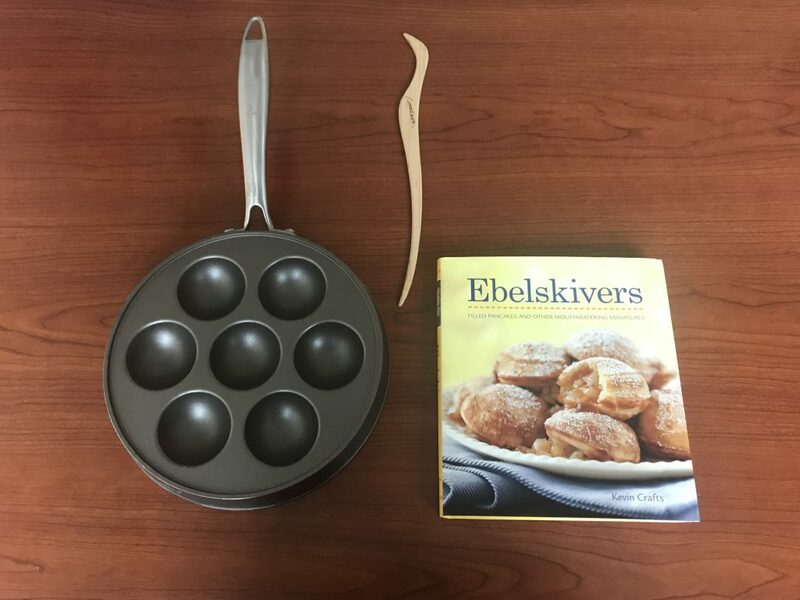 An ebelskiver is a Danish filled pancake. Sounds good right? So make them yourself! We include a book with recipes and ideas to get you on the right track! Everybody loves Elmo! Make someone an Elmo cake and make them happy! 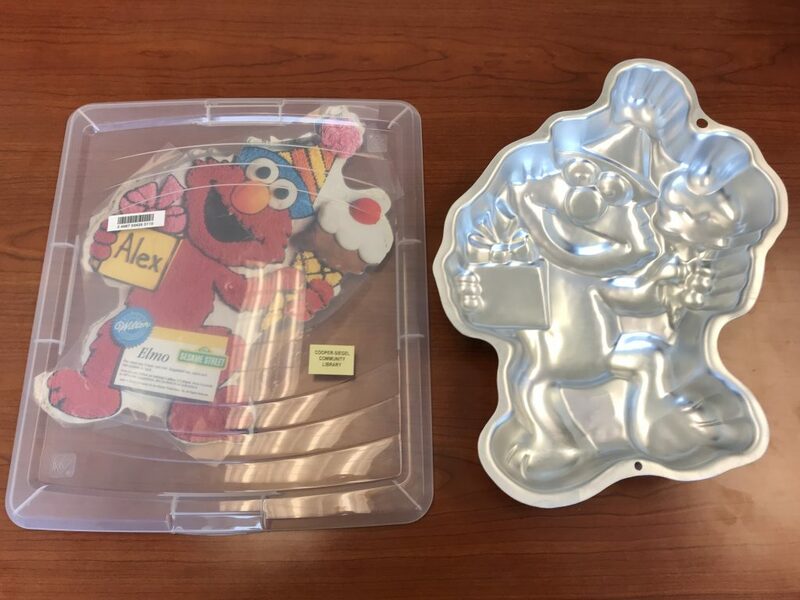 Includes 1 Elmo cake pan, 1 template/picture, and instructions. Peace, man! Chill out, channel your inner hippie, and make a flower power cake! 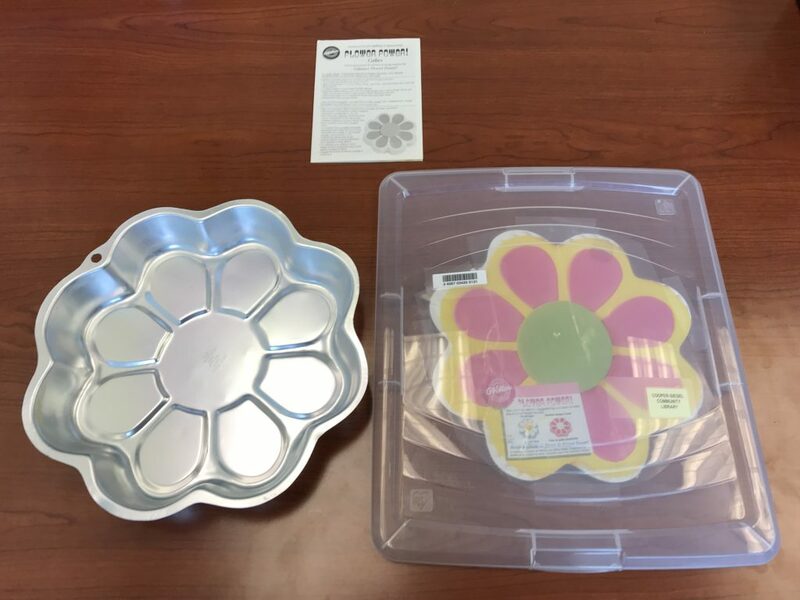 Includes 1 flower power cake pan, 1 template/picture, and instructions. Change up trick or treat by handing out pumpkin cakes this year. 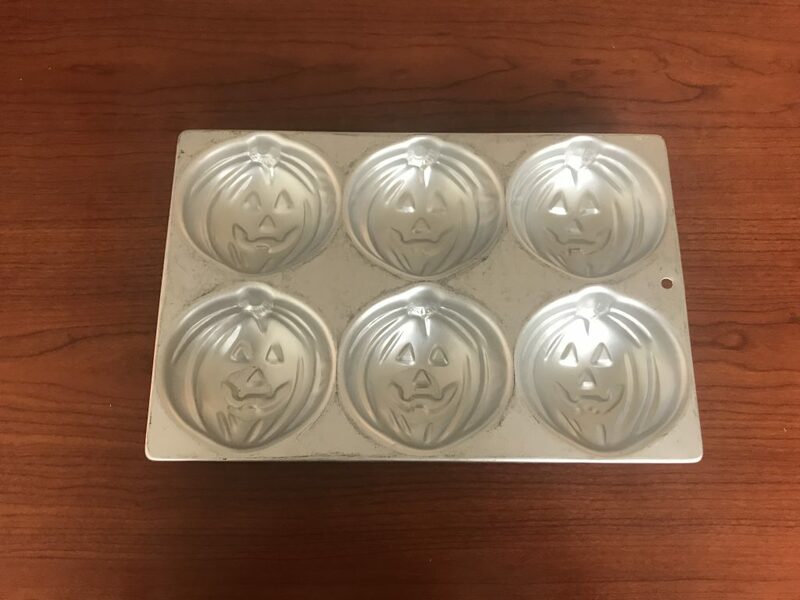 Bake them, give them out, and let us store the pan until next Halloween! 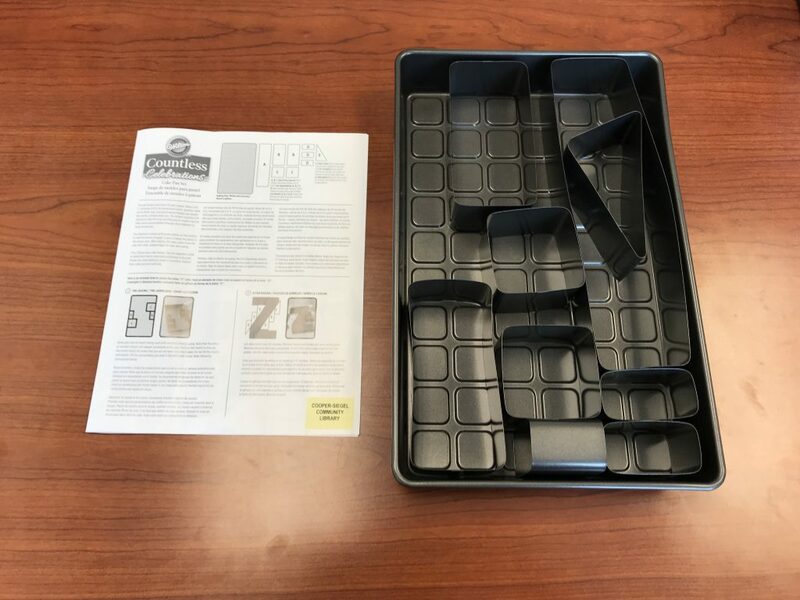 Includes 1 baking pan with 6 pumpkin molds.